Private Placement Life Insurance – Financial Designs Ltd.
Our clients often require non-traditional investment strategies. For our clients that are also accredited investors, there are alternative investments, such as hedge funds that can create unique challenges. Income taxes erode net returns as the result of investment activities that generate significant ordinary income. Tax reporting is challenging and expensive due to complex K-1’s that often arrive late in the year. Non-deductibility of some investment fees can result in phantom tax. 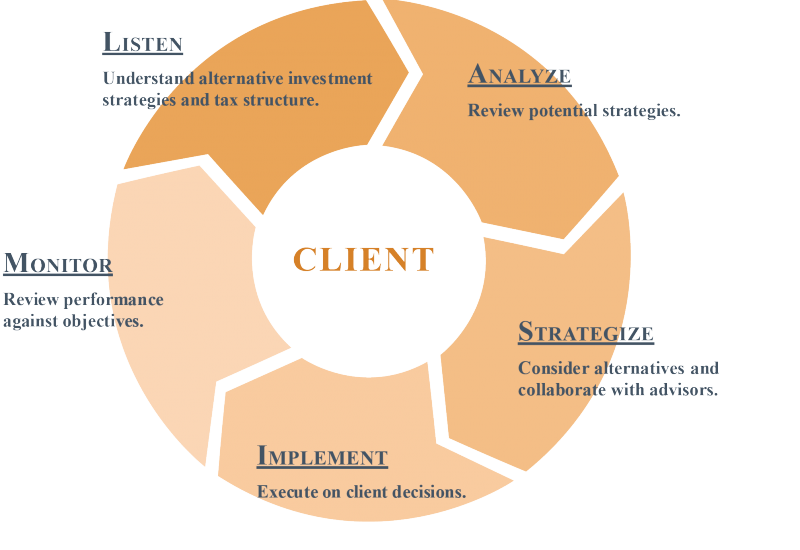 In conjunction with the client’s other advisors, we analyze alternative planning strategies to eliminate these challenges. Private Placement Life Insurance and Private Placement Variable Annuities allow for investment in hedge funds as well as traditional registered funds within an insurance contract. Private Placement Variable Annuity contracts allow for tax-deferred investment growth within the contract. In contrast, Private Placement Life Insurance policies allow for tax-deferred growth within the policy as well as the opportunity to liquidate the policy via a potentially tax-free death benefit. While these tax benefits come at the cost of some insurance charges, Private Placement Life Insurance and Variable Annuities are unlike most retail annuities and life insurance. These contracts are specifically designed to provide maximum transparency and institutional pricing and eliminate K-1’s. This means avoiding the complex and expensive tax reporting associated with investment partnerships. Private Placement Life Insurance and Variable Annuities can be powerful tools to increase tax efficiency and keep more assets for charitable requests or loved ones. Financial Designs Ltd. leverages our expertise in the design, placement and management of life insurance to help our clients and their advisors assess the appropriateness and advisability of these unique products to meet the needs of your particular situation. Through our relationship with M Financial Group our clients gain access to exclusively priced proprietary products that are not available through traditional agents or brokers. Many of these products feature pricing enhancements that are passed along to new and existing clients, a practice that is rare in the industry. Private Placement Life Insurance and Annuities are unregistered products and are not subject to the same regulatory requirements as registered products. As such, Private Placement Life Insurance and Annuities can only be offered to accredited investors or qualified purchasers as described by the Securities Act of 1933. This material is intended for informational purposes only. It should not be construed as legal or tax advice and is not intended to replace the advice of a qualified attorney or tax advisor. Death benefit guarantees of variable life insurance products are subject to the claims paying ability of the insurance company. 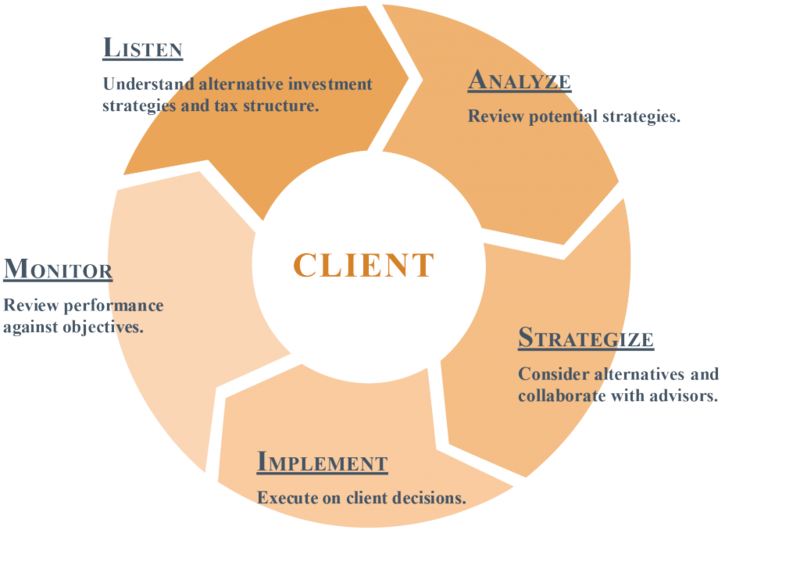 When considering alternative investments, including hedge funds, you should consider various risks including the fact the some alternative investment products: often engage in leveraging and other speculative investment practices that may increase the risk of investment loss, can be illiquid, are not required to provide periodic pricing or valuation information to investors, may involve complex tax structures and delays in distributing important tax information, are not subject to the same regulatory requirements as other registered products, often charge high fees, and in many cases the underlying investments are not transparent and are known only to the investment manager.